Pam Buda of Sonoma County informs us that this is the 30th Anniversary of the Russian River Wine Barrel Tasting Tour. According to Pam’s post, WineCountryandHorses, this popular event has had to stretch to two weekends. This coming weekend of March 8-9 is the second and final weekend of this year’s event. If you’re a fan of California modern and mid-century modern architecture, colleague Sam Benson in Contra Costa County co-hosts the annual East Bay Eichler Faire in Walnut Creek this Saturday only, March 8th from 10 – 2. Sam seems pretty knowledgeable about these types of homes which you will see if you visit his blog at RealEstate680, and has found many tradespeople who specialize in this home style and construction. If you know someone who wants to know more about this type of architecture, enjoy a day in the East Bay for this free event. Of course, if you’re going to stay or visit the Half Moon Bay Coastside, this is Opening Weekend for Half Moon Bay High School’s Spring Musical, Grease, as reported here by Coastsider. First show is this Friday, March 7th at 8 p.m. Visit the above link to the Coastsider report for some great pictures and the full list of dates, times and locations to purchase tickets. If none of these get you out of the house, you can also stop by my Open House at 620 Ruisseau Francais in Frenchman’s Creek this Sunday, March 8th from 1:30-4:30! Thanks to CB colleagues the Bell/Fisher/Fowler team for inviting me to hold open this great home. (I took photo on 2/9/08.) p.s. currently the lowest price 5br.3ba. on the market. Contact me if you would like a showing or further information about it. 3/6/08 update: I will also be holding Valerie Trenter’s co-listing at 286 3rd St., Montara, this Saturday 3/8/08 from 2-4. This is the FIRST open house. 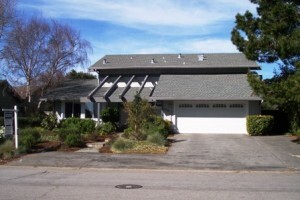 I toured this Tuesday…a darling home on huge lot, ocean views, single story. Picture to come. It will also be open Sunday 1:30-4:30 hosted by Listing Agent, Valerie Trenter.